I keep seeing links to online articles about how people are all up in arms over Reese’s Peanut Butter Trees. They say they don’t look like trees, they look like blobs. It's gotten so ridiculous that Reese's has been issuing apologies. What? First of all, as we discussed in these pages back at Halloween, all of the Reese’s special seasonal candy shapes are just blobs. Always have been. But maybe this year’s batch of trees is blobbier than normal. I took the bait and clicked on an article posted by a local television station (Fox 11 in Los Angeles). According to this fine piece of journalism, “People are upset Reese’s Trees don’t actually look like trees.” That’s the headline. You can see it for yourself here. But if you read the referenced tweets, people mostly just seem amused by the (lack of) tree shape and include hashtags like #ItsStillReeses and #StillEating. It's the Starbucks Red Cup Controversy of this week. Almost no one is actually upset about the actual candy. It’s all just clickbait and internet hysteria. Here’s one of the pictures of the offending candy that’s been tweeted. Okay, I'll admit that’s a little blobbier than usual. 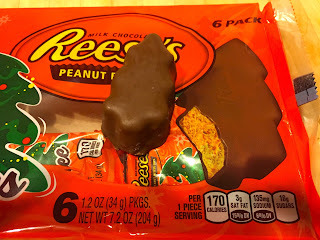 So, purely in the interest of science, I went out and bought my second package of Reese’s Peanut Butter Trees of the season, cracked them open and took a look. 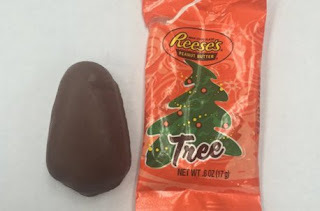 They’re exactly the same as the first package I had which were exactly the same as every Reese’s Peanut Butter Tree I’ve eaten since I discovered them ten or twelve years ago: A barely Christmas tree-shaped blob. In other words, they look exactly like they’re supposed to which is pretty much the way they’re depicted on the package. Check it out. Can Reese’s please stop apologizing now? They have nothing to be sorry for. In fact, it’s the world who should apologize to them. 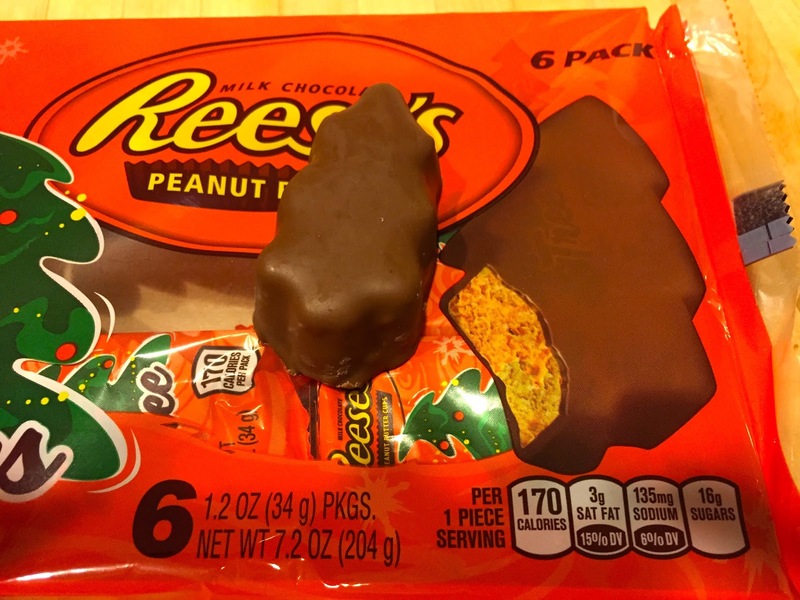 Why Mr. Reese doesn’t have a Nobel Prize on his mantle for giving the world the gift of peanut butter encased chocolate wonder is beyond me. So if you want an even better ratio of peanut butter to chocolate than the standard, year ‘round variety, eat the Reese’s Peanut Butter Trees while they’re here. If you want something that looks exactly like a real pine tree then go eat a pine tree. And if you want to trump up some fake controversy to get people to click on your website you don’t need me to tell you how to do that. You nailed it. I clicked and told other people to do it too. Well done. But I also ate extra peanut butter trees. Who’s laughing now?